Showcasing South Africans’ love for the outdoors, ‘braai’, and the associated enjoyment of KWV Brandy, was a source of inspiration when a collective of bartenders from Durban and Johannesburg came together on Tuesday 22 May, to compete in the KWV Brandy Reimagined competition at Mootee Bar. This competition seeks to identify SA’s top bartender, who will be crowned KWV Brandy’s Futurist – and walk away with a rare bottle of KWV Nexus valued at R24 000! 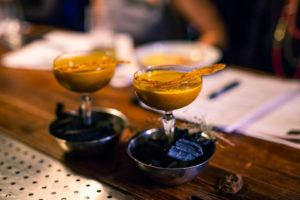 Contestants included Durbanites Lamoure Benton, from The Chef’s Table and Bruce Dorfling, from Lucky Shaker. Johannesburg bartenders included Ahe Jafta, from Craft Link, Maynard Booyzen from Sin + Tax, Martin Strobos from Bar Solutions, Orefile Sealetsa from Marble restaurant, Masixole Bedesho from Buddaz Social Club, Gareth Wainwright from The Republican Drinks Agency, Justin Bester from Marble restaurant, Bheki Khumalo from Milk & Honey Bar. 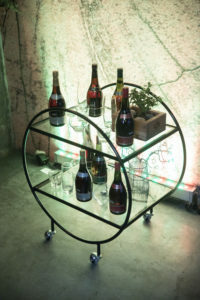 There was no shortage of the creative interpretation of the use of KWV Brandy as a base ingredient in cocktails, with bartenders mixing this trusted favourite with home-made cordials and interesting extractions. In a nod towards the trend which sees plant-based ingredients as an exclusive feature in food and drinks, Booyzen incorporated vegan and vegetarian ingredients in his drink. 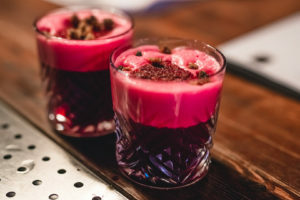 Booyzen’s creation was called Bring the ‘Beet’ (sic) Back – a combination of walnut, beetroot and ginger flavours, perfectly blended to produce a sweet, earthy, and beautiful KWV Brandy-based cocktail. Wainwright, created his cocktail called the Hemel-en-Aarde, using KWV-10-Year-Old Brandy, mushroom consommé, sultana tea, oxidised vermouth and a pinch of salt. He wowed the judges by presenting his cocktail in a glass dome containing a beautiful miniature mushroom forest. Khumalo impressed judges with his throwing talent – a skill which demonstrates a bartender’s ability to transfer liquid from one suspended container to another from a distance. He mixed KWV Brandy with a delicious blend of pineapple, grapes, orange, and aniseed, topping it all off with a swirl of white grape beer foam and a vanilla flower. Sealetsa produced a unique banana flavoured cocktail called Mvinyo Ndizi, a Swahili term which translates to ‘banana wine’. His engaging personality appealed to the crowd too, who voted him as the ‘fan favourite’ on the evening, winning him a drinks trolley stocked with KWV Brandy valued at R7 000! Based on their overall scores which included points for aroma, taste, appearance, balance, brandy pairing and presentation, KWV Brandy’s panel of expert judges was hard pressed to narrow the search for the regional Top 5. The air was filled with joy and camaraderie as it was announced that Maynard Booyzen, Martin Strobos, Gareth Wainwright, Ahe Jafta and Bruce Dorfling were the top five bartenders for the night. The scores from both the Cape Town and Johannesburg regionals will now be collated, and the top five bartenders overall will proceed to the Grand Finale which will take place on the 12th of June at the home of KWV Brandy, the House of Fire, in Paarl. The KWV Brandy judges panel comprised of KWV Manager: Spirits, Ilse du Toit, Mootee Bar owner, Dominic Walsh, influential drinks writer Leah van Deventer, Jan Laubscher – prolific drinks writer and the extraordinary Sunday Times S May editor, Thembalethu Zulu. The panel also included actress and singer, Bianca Le Grange as the celebrity guest judge. The panel was chaired by cocktail expert, Kurt Schlechter, owner of Cause | Effect Cocktail Kitchen and Brandy Bar in Cape Town. 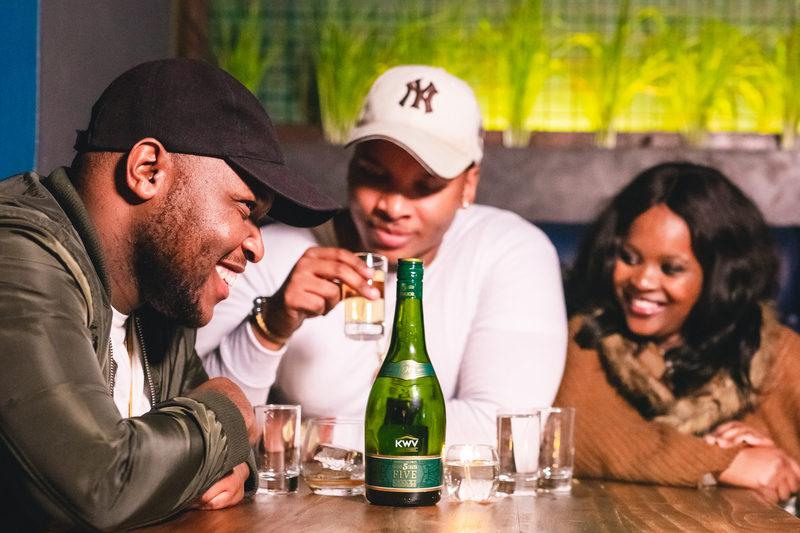 You can track the bartenders’ journey by following the hashtag #KWVBrandyReimagined and following KWV Brandy on Facebook, Twitter, and Instagram.